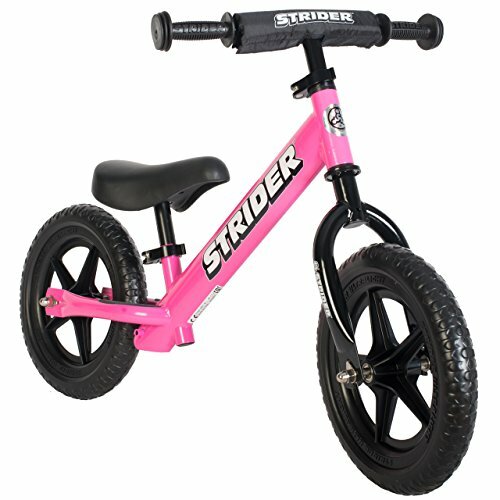 NEW IMPROVED 2017 Model – Updated Design with Upgraded Bearings, New Upgraded Seat, New Quick Release Seat Bracket, New Stronger Metal Headset, New Upgraded Handlebars, Now Easier to Assemble. 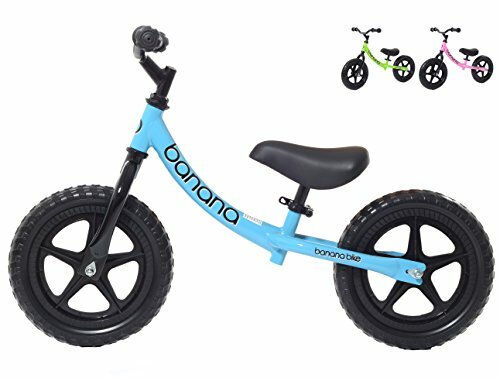 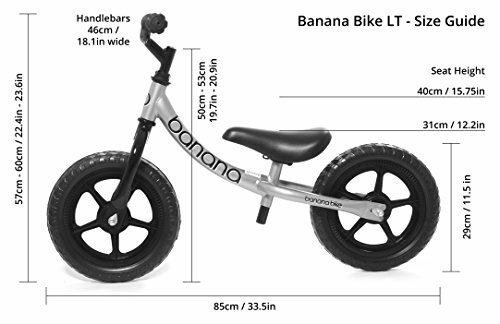 The Original Banana shaped bicycle frame design ideal training bike from 18 month old toddlers and small children starting off. 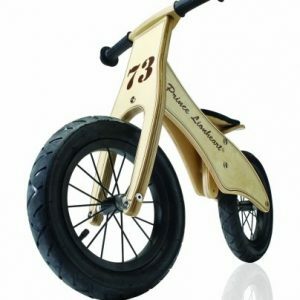 The saddle starts as low as 12.2 inches. 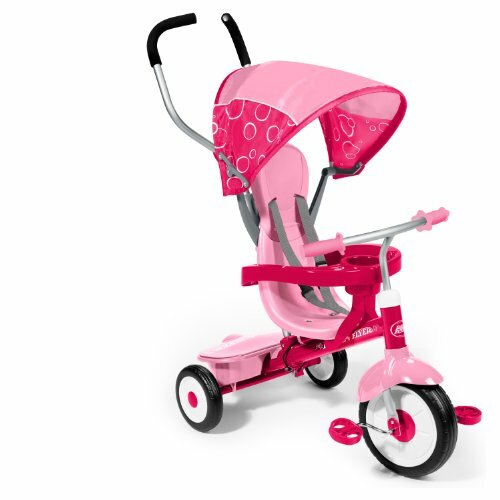 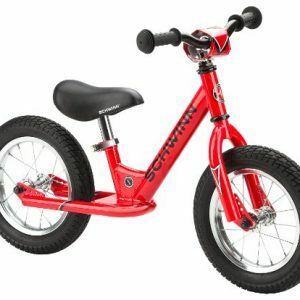 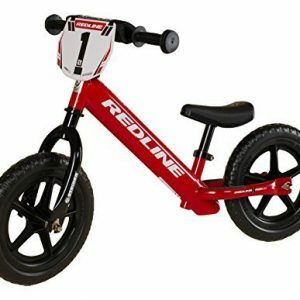 It’s the ideal way for any child to start their biking journey. 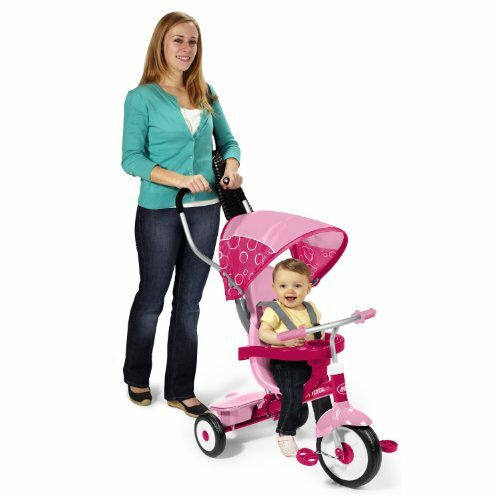 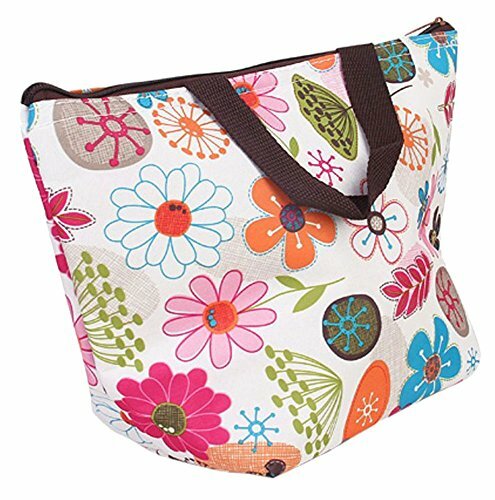 Light but strong, for maximum fun & easy to carry. 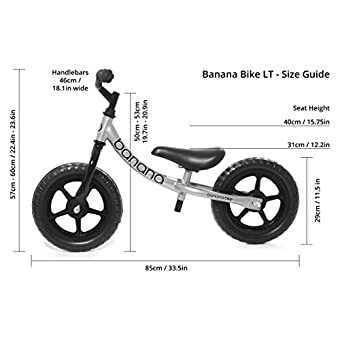 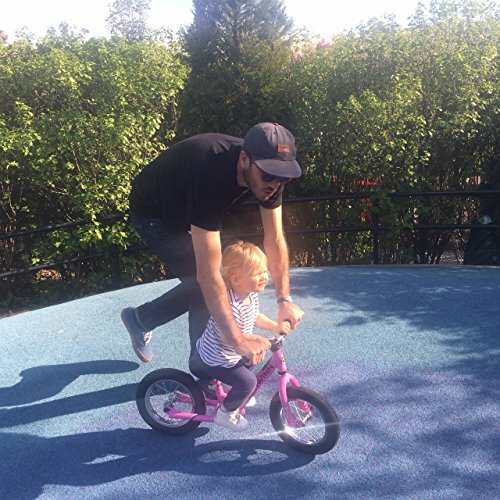 Small boys and girls can easily handle the bike and travel further than on scooters or pedal bikes. 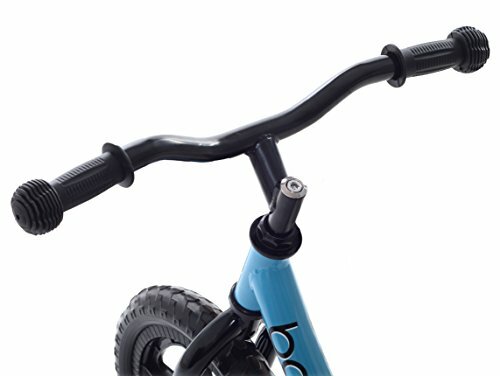 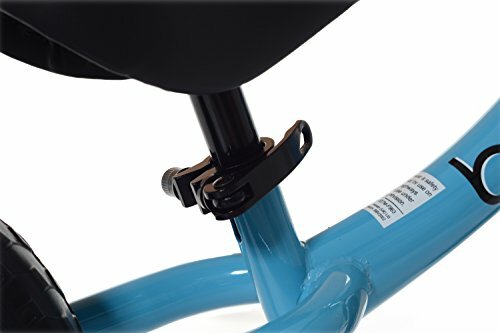 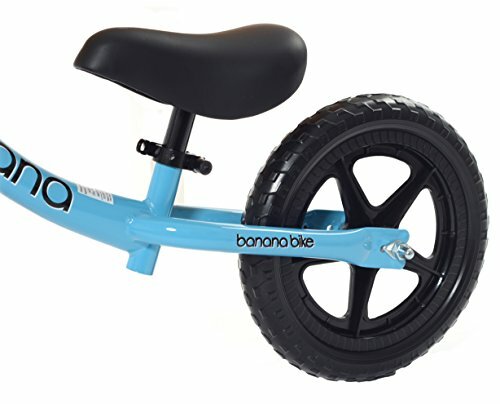 Better than a scooter, tricycle or starter pedal bike with stabilizers. 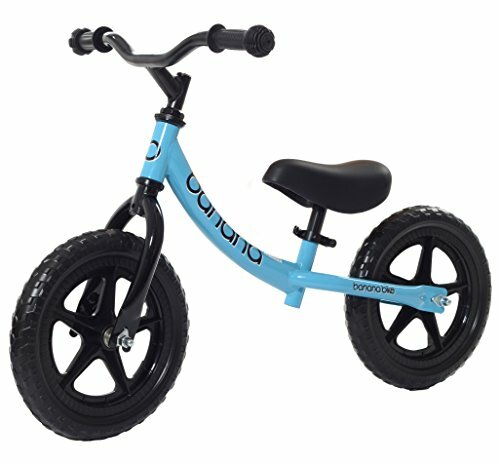 Puncture proof EVA Foam tyres – no need to ever inflate these tyres. 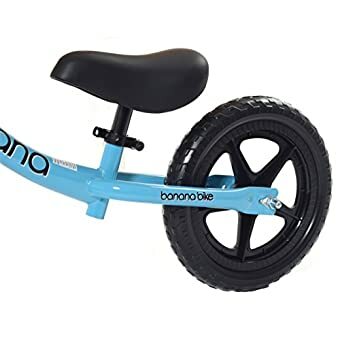 It’s the perfect birthday present or Christmas gift for healthy outdoor fun. 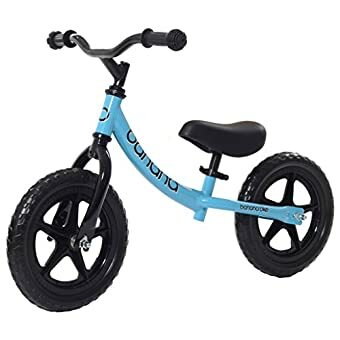 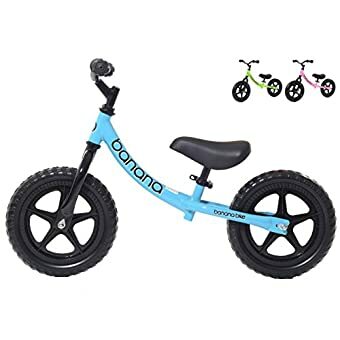 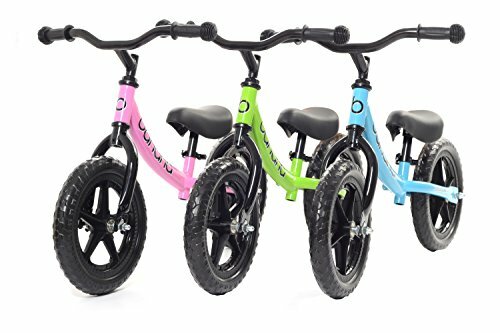 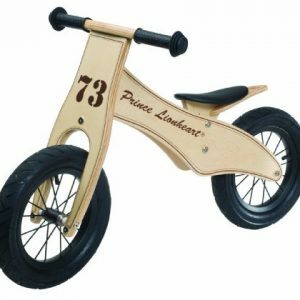 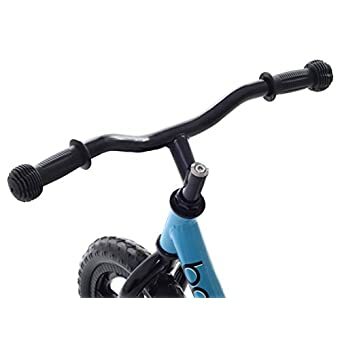 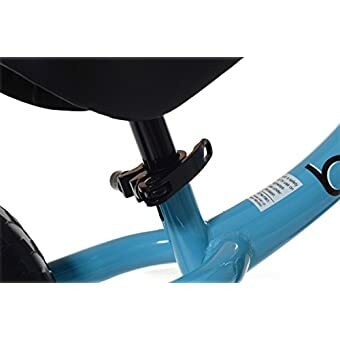 The best value balance bike on the market, with full metal bicycle headset and handlebars, quick release seat and upgraded wheels. 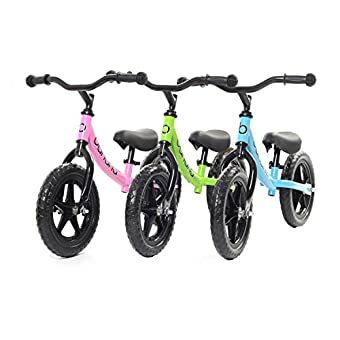 3 eye-popping colors to choose from.